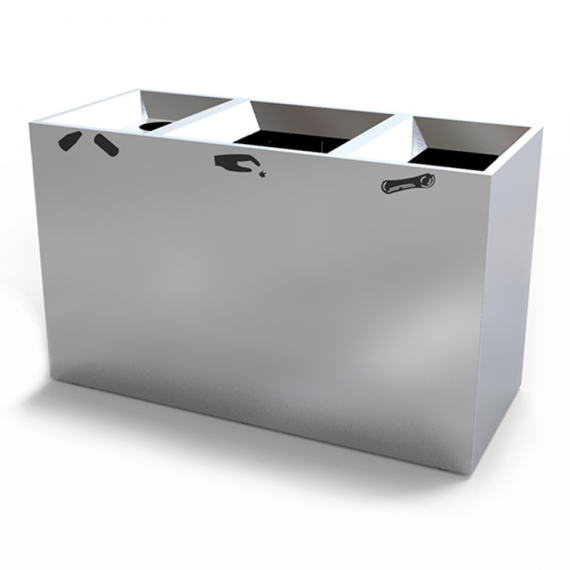 CRC-172 is a stainless steel recycling bin with three compartments and customizable labels and text. 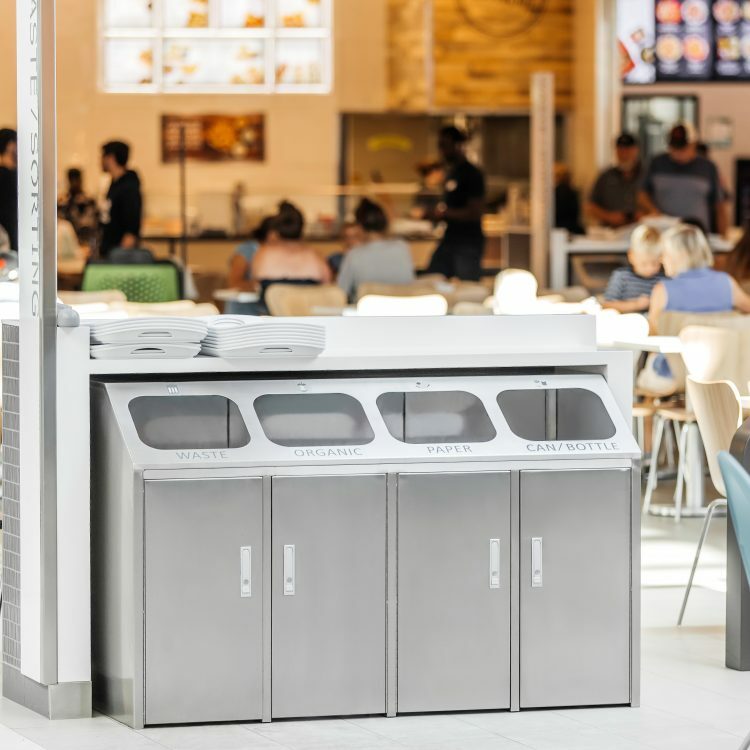 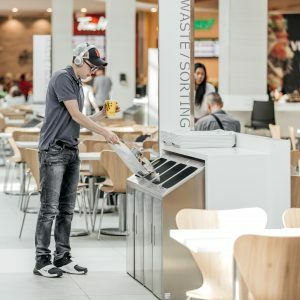 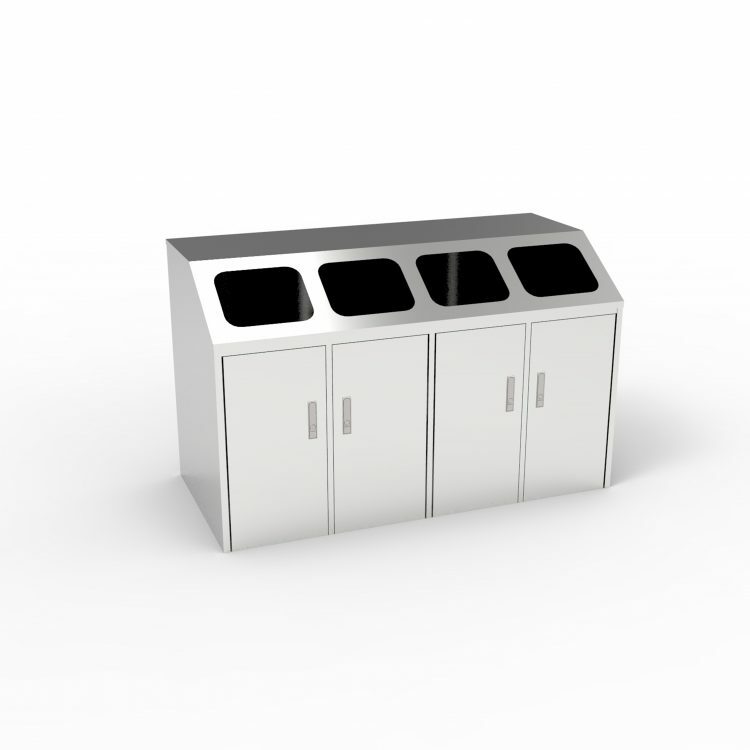 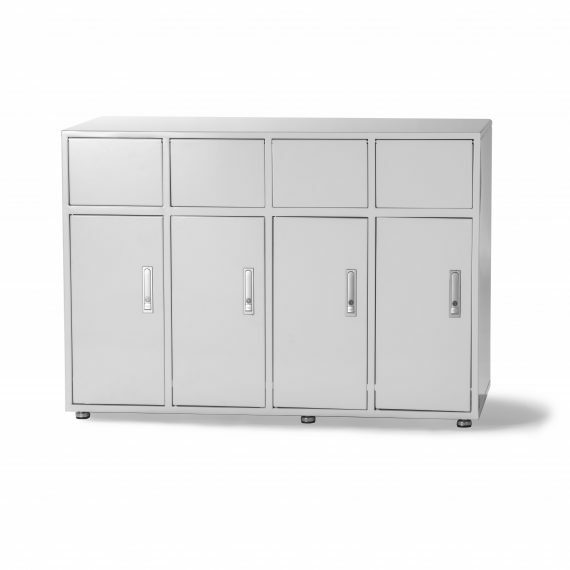 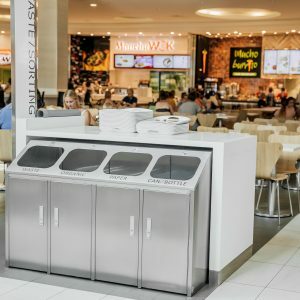 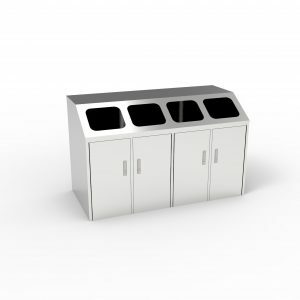 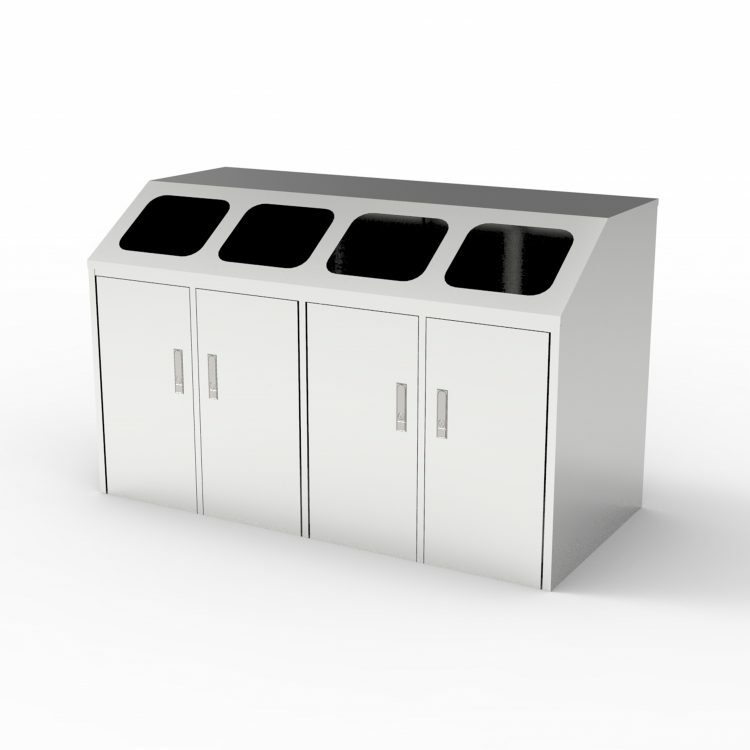 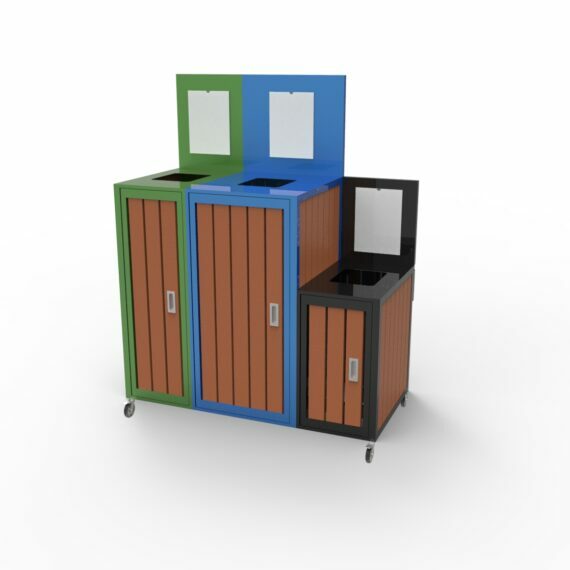 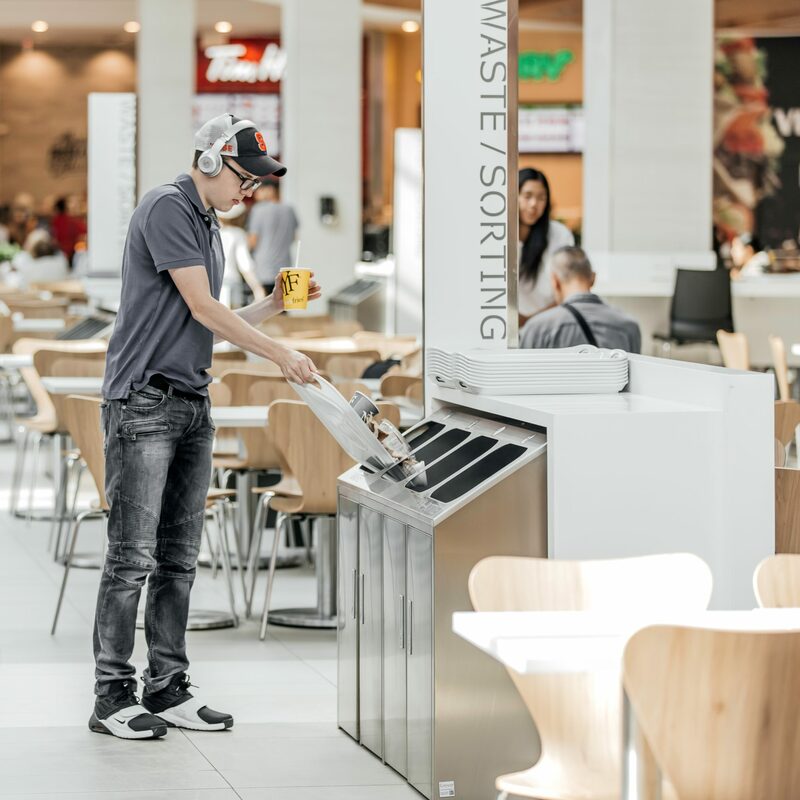 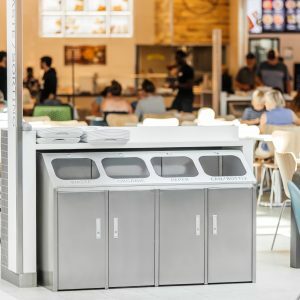 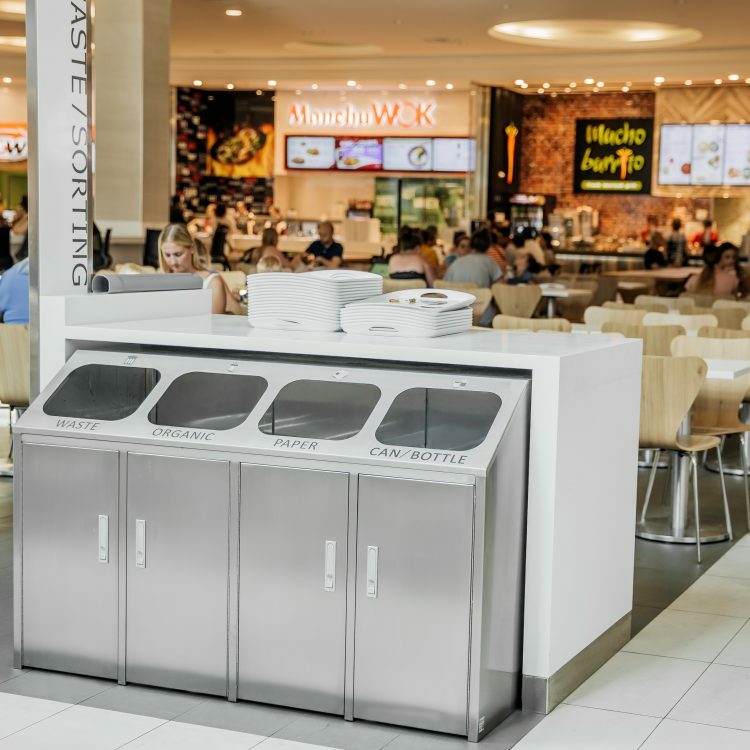 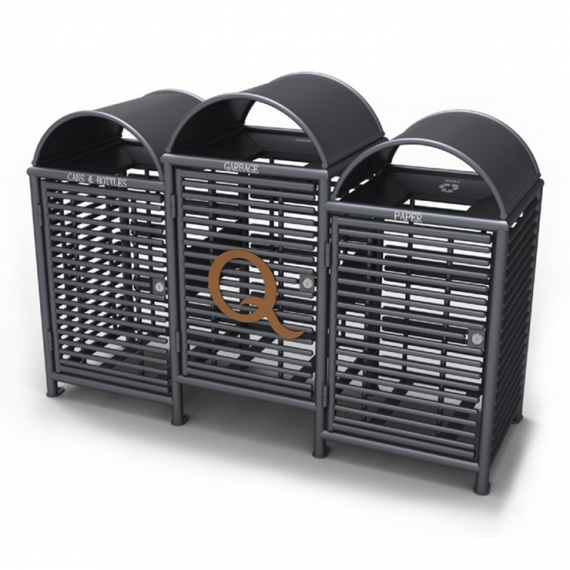 The design of large bin opening allows users to insert a standard food court tray . 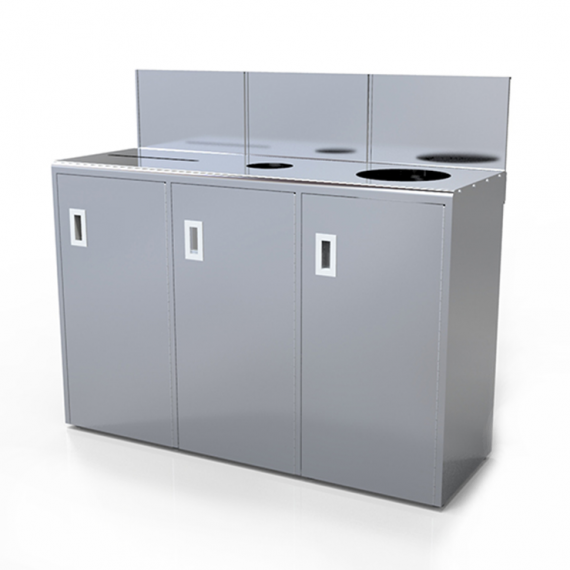 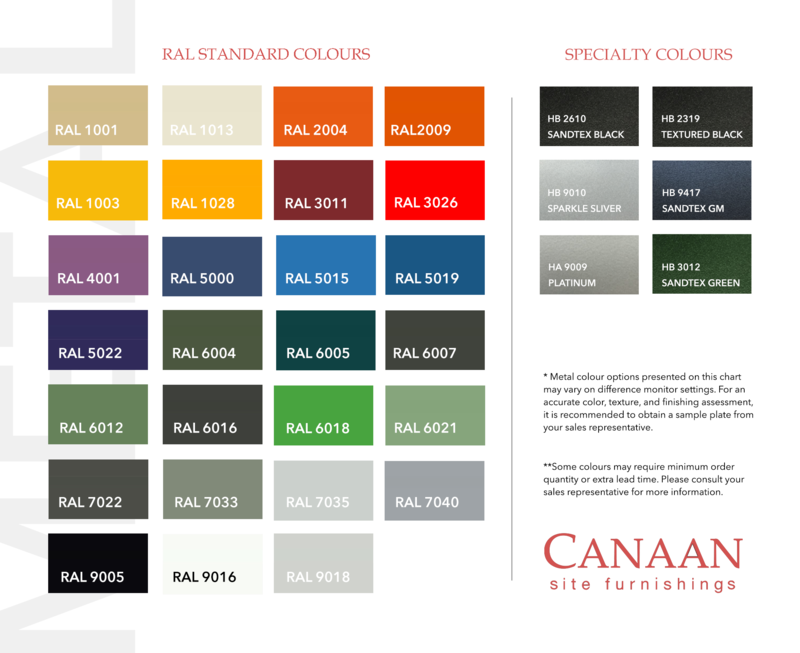 CRC-172 is constructed with stainless steel and galvanized steel liner.